7 different beach flag models! Each model has its own character and charm. Playful, modern, sleek and trendy, all of them are made of high quality materials and are versatile. Browse through the various models and choose which the one that best suits your organization or with your product. The model of the beach flag is usually a personal choice, but can also be chosen with regard to practical reasons. The model Flying for example is ideal for round logos and the model Straight, Shark, Sharp, Block, Convex or Concave for rectangular logos. 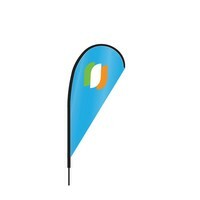 The model Convex has no loose edges flapping in the wind which benefits the durability of the flag. Each model has its own advantages! 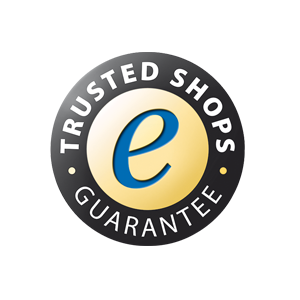 Of course you can ask us for advice concerning the product selection. Depending on the model, there are various sizes available. 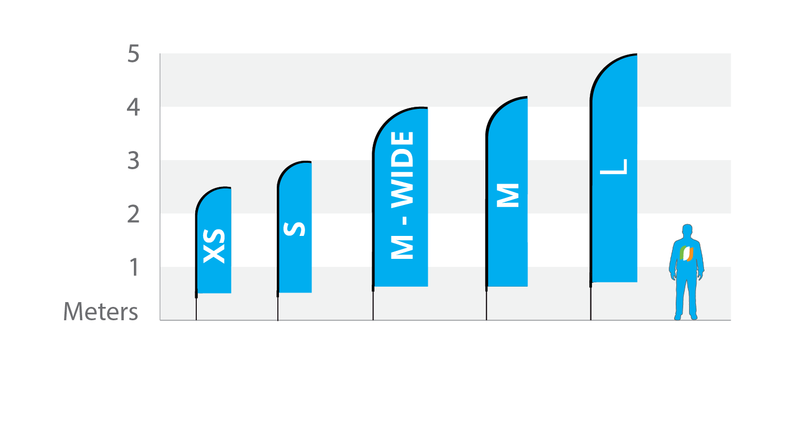 Some models are available in four sizes and some in five sizes. 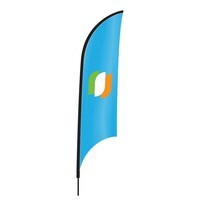 A number of models can be manufactured in an extra wide design, for more visible information on the beach flag. Moreover, any size has different finishing options. 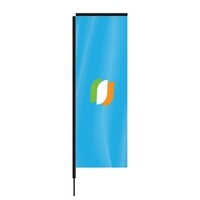 You can also define the type of printing, wind direction and finish of the flag. 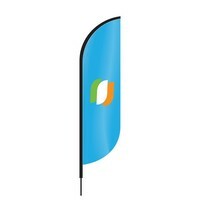 You have a choice of 432 different beach flags! 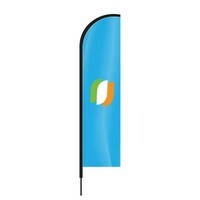 Additionally, you can also order a mast, carrying case and beach flag base. The choice is huge at Beachflags.com but thanks to a clear overview and assembly module, you can simply select the desired flag and place the order.